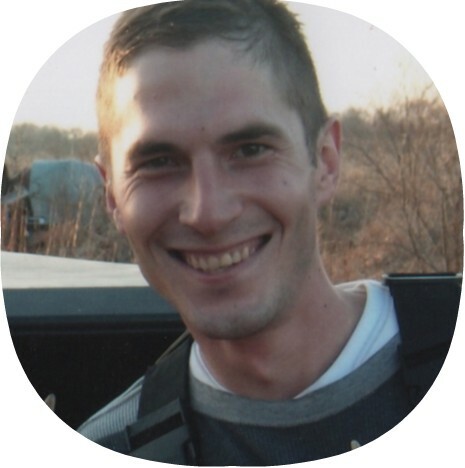 Brett David Kainz of Hartford, passed away unexpectedly on Friday, March 8, 2019, at the age of 36. He was born on December 29, 1982 in Hartford, son of David and Gail (nee Schuppel) Kainz. He attended Lincoln Elementary School, Central Middle School and Hartford Union High School, where he played soccer and wrestled. Brett followed in the footsteps of his Father and brother, Derek and was a carpenter. Growing up, Brett enjoyed going to church camp at Camp Lucerne, and camping with his family and friends at Plymouth Rock. Brett looked forward to golfing and deer hunting each year with his Dad and brothers. He was a sports enthusiast and enjoyed watching the Packers, Brewers, and playing Fantasy Football, disc golf, and basketball with family and friends. Brett was young at heart and always made time to play baseball, nerf guns, and games with his nieces and nephews at family get-togethers. Brett is preceded in death by his Grandparents, Bobblin and Ruby Schuppel and Grandfather, Joseph Kainz. Private services were held at Berndt-Ledesma funeral home, Hartford on Thursday, March 14, 2019.